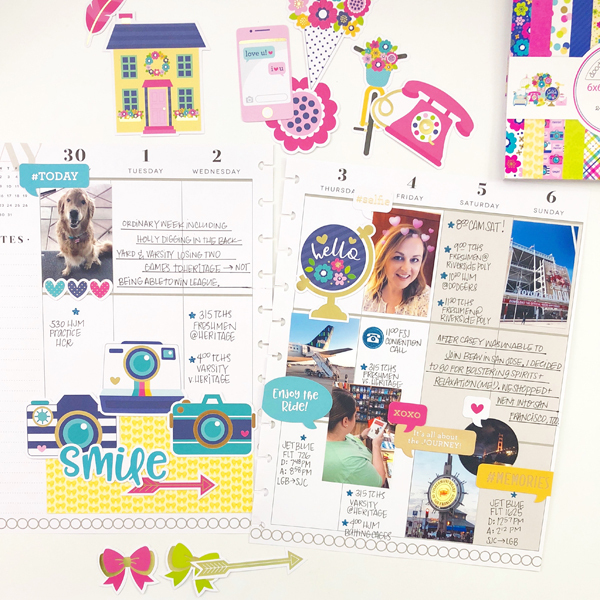 As soon as I opened the new Hello collection I was eager to get stuck into my planner pages as it looked so sunny and cheerful - especially with these photos. I’m so excited with how these pages came out! How cute are the cameras? They are pretty much the perfect accent for memory planning. AND I love the various patterns and how they tie together so well! The various pieces in the Chit Chat *always* excite me. I love adding text that’s playful and says what I’m thinking. And layering it here?! It’s perfect with my photos! 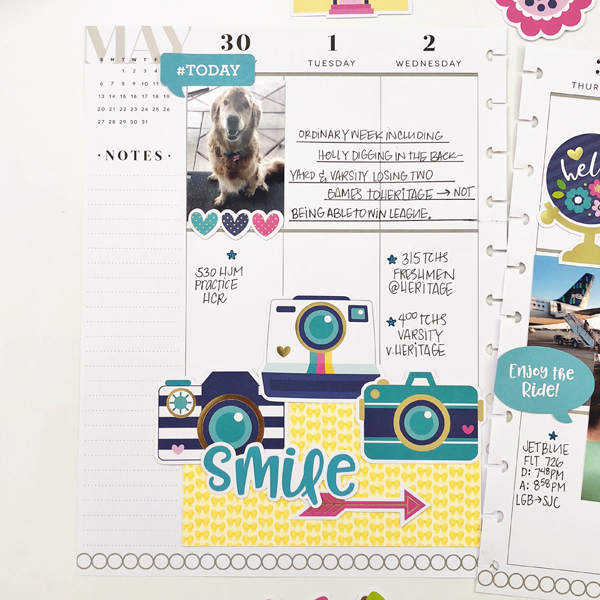 How are you using the Hello collection in your planner? 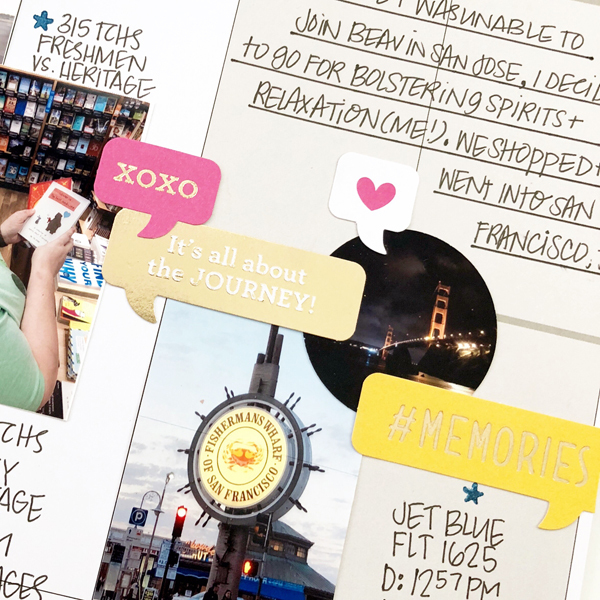 I’m off to create another fun layout using those beautiful images & jewel tones! I love how you add pictures in your planners!! 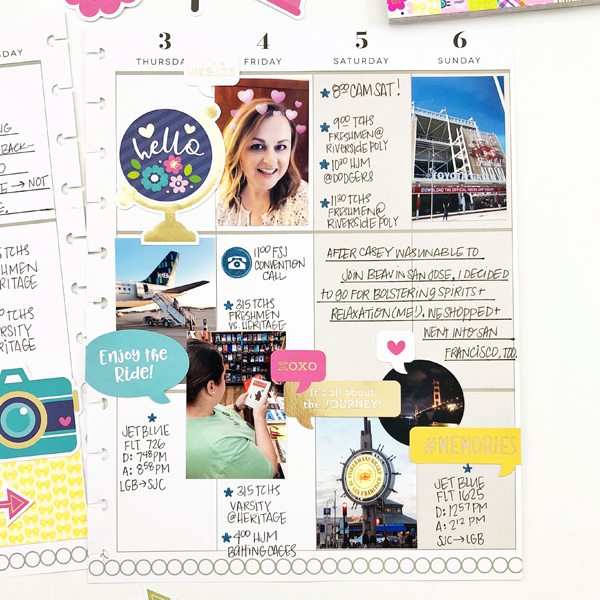 I love your planner style Jenni! So clean and fun! !